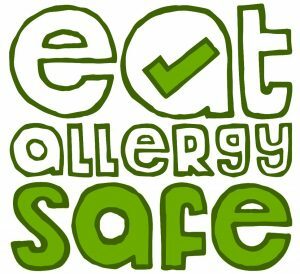 Over the last few months many of you in the Eat Allergy Safe Community have been emailing asking how to stay allergy safe this summer. One particular email asked specifically about Liverpool. (It is also around this time I started writing my Travelling with Allergies Guide – published soon!) A couple weeks later I was asked by the lovely people at Groupon whether I would write about things to do in Liverpool, the stars felt like they were aligning! Liverpool is one of my favourite cities in England so I thought this was a great opportunity to talk about how I go about planning an allergy safe day out and some of the fun things you can do in Liverpool. Seems obvious, but it really is the first place to start. If you’re going to a new place don’t assume it will be the same as home. Depending on your allergies you may not find safe foods at take aways or restaurants, unless you know where to look! Doing some research will also give you a feel for the place and give you an idea of not only what foods you want to try but also what sites you want to see. The docks and museums are my favourite place. You probably have a limited amount of time so you will want to fit in as much as possible. Making a list will help you decide the places you most want to visit, and also give you a handy quick reference of where you need to do some allergen menu checking. When you make your list, remember to note down an email address and or telephone number too. Remember that list you just made and the contact details noted? Set aside 30 minutes to 1 hour to go through the list calling any of the places you think you may want to eat at. When you call, you are calling for information first. Tell them you are coming on holiday and doing some research on where might be safe to eat with your allergies and can you just ask them about their allergy policy. This is also the time you can tell them about your specific allergy needs and find out whether they could cater for you or not. If they say no, don’t be disheartened! It is better for them to be honest with you rather than you have a reaction because they lied!! If you want to see lots and lots, having an itinerary listing out how to get places, what time to leave/arrive, where to get tickets, where to eat, along with contact numbers, can be incredibly handy! It takes some of the stress out the day because you know what to do when, and most importantly where you can eat! This means you have more time to relax and enjoy your day out on holiday. As you do at home, when eating out or buying food, always double and triple check the allergen and ingredients labelling. This might mean reading a product packet or emailing a restaurant, and talking to the restaurant manager and your server when you arrive. In the EU, all food whether packaged or open must be able to give ingredients and allergy information, and we have the top 14 allergens. Like you do at home, have an allergy safe snack in your bag. You never know if something unexpected will come up (that’s why its unexpected…) so its best to be prepared. I know I don’t think straight nor am I reasonable when I’m hungry, so having something I can nibble on and keep the hunger pangs at bay really does help keep me calm and meet a challenge head on. Now that you know how to plan a day out, here are some recommendations for restaurants and fun things to do in Liverpool! For dairy and egg allergy sufferers, there are now lots of vegan food offerings all over the city from small cafes to big chain restaurants. Nuts on the whole aren’t used in typical British food, but could be found in the ‘health’ food salads, and of course desserts are still a mine field. Red’s True BBQ – many of the menu items don’t contain gluten, and none of the mains items contain nuts (as of when I last went). Trattoria 51 – said to be incredibly allergy friendly with understanding staff (that’s half the battle!) and a gluten and dairy free menu. Leaf – really good labelling of gluten free, contains nuts and vegan options. The menu looks delicious and I’ve heard some great recommendations! Nation-wide Chains: Carluccio’s, Pizza Express, Bella Italia all have a gluten free menu and understanding when I say I have a nut allergy. Many have dairy free options too! Marks & Spencers supermarket have without a doubt the best food-on-the-go selection! Their aim is the gluten free market however, their sandwiches don’t have nut warnings, nor do most of the cold meat selections. For nut allergy sufferers, items are clearly marked when they are not suitable. Tesco supermarket is the next on the list of allergy friendly food on the go. Again, primarily targeted at the gluten free market, but they are starting to add in more dairy and egg free options for desserts and savoury crackers. The docks are on the water front and you can see the old industrial architecture has been preserve. The buildings are now how to museums such as the Tate, Beetles Museum and the Maritime Museum. You could easily spend a day just on the Albert Dock and a picnic (if the sun’s shining) overlooking the water is wonderful! Liverpool is a metropolitan city with a great night life. Part of that night life is the theatres. Many of the big London shows will tour to Liverpool on their way round the country and you have everything from Shakespeare to Pantomime, Ballet to Opera, and comedy! If you, or your kids, want a bit more adventure on their holiday, you will find something for even the pickiest! Get involved with activities such as paint-balling, bowling, funfairs, trampolining, treasure hunts and open air bus tours. Groupon on always has some fantastic deals for things to do in Liverpool so make sure click on the “Things to do” title above! The second instalment of the Eczema Survival Guide. In this article Ali White from allergymums.co.uk shares the 9 things she’s discovered over the years of dealing with urticaria that makes such a huge difference in her day to day life. Apply any steroid cream you have BEFORE moisturising. Always moisturise after a bath and shower to lock the water in. If the moisturiser feels tacky just let in sink in. Always moisturise before bed, night time is a good repair time. Use the PALM of your hand to moisturise, in a downward movement. Don’t rub, or go up and down as that can irritate the hair follicles and make things worse. I’ve bolded this as it’s really important. You don’t want to further irritate your skin. If your hands are bad then buy a pair of cotton gloves. Slather emolliate on your hands and wear the gloves overnight. This can make a big difference. Make sure you have the right antihistamine. I went back to my GP who doubled the dose I was on. I had no idea I was on a low dose of antihistamine…taking the maximum dose has really helped my skin. Cut your nails short. I scratch at night, in my sleep (argh). Do everything you can to limit the damage you’re doing to your skin. Cool showers only, and limit baths to 15 minutes. Don’t soak forever, or use very hot water. It will dry out your skin. Wear breathable clothing. Cotton is your friend, polyester…not so much. Finally…your skin will always be vulnerable. This is a lifelong regime, not something you do until your eczema calms down. You need to commit to constant moisturising whether you feel you need it or not. Once your skin is dry then you are likely to suffer. Keeping it from getting dry in the first place is the best thing you can do. Tis the season to be itching…there ought to be a song for Eczema sufferers with those lyrics. It’s winter. So the air is dryer, the temperature colder and those of us with dry skin and eczema suffer more at this time of year. I’ve been through all sorts with my skin. Eczema that cracks and bleeds, scalp beyond itchy, chronic urticaria due to a chemical allergy which meant my face was covered with a rash for years. Fortunately a dermatologist did patch testing which showed an allergy to Tocopheryl Acetate; which is in shampoo, deodorants, makeup, lipstick, sunscreen plus loads of other stuff. So the Urticaria is gone, but I’m still dealing with cracked, sore hands and legs that flare with such intense itching that they feel hot and impossible to ignore. The rest of the time they are just dry, red and itchy. Skin conditions are something that remain tricky to treat. The current thinking is that Eczema is caused by a defect in the skin barrier, with the eczema being triggered by allergens such as dust, or foods, or animals. Scratching just releases more histamine, which makes the reaction worse. So you might feel initially better for scratching that itch, but it will be very temporary and you really are making a bad situation worse. Drink loads of water. Really…not tea, coffee or sugary drinks. But water. If you’re well hydrated your skin has a better chance of being well hydrated. Moisturise like crazy. I moisturise 3 times a day. Morning, night and midday. Moisturise morning and night regardless of whether you feel you need it. You need to keep your skin in good condition all the time. Yes…this is a drag but better than being itchy. Really…midday? Yes. Is it easy? No. I have moisturiser with me at all times and I lock myself in the toilet and moisture my arms and legs. Choosing your moisturiser: The higher the oil content the better at locking in moisture a moisturiser is. Everyone is different and likes different textures of moisturisers so do experiment. You may need to change over time if you find a moisturiser is no longer working. Go back to your GP and try something different if what you’ve been prescribed doesn’t work. Keep a diary to better understand triggers – animals, food, dust, shampoo etc. can all set off eczema. Don’t use soap – it’s very drying. Use a soap alternative. Don’t spend a fortune in Boots – get it from your GP. Emollients like Epaderm may be greasy but they really do help. This article was originally posted on Lucy’s Friendly Foods on May 19, 2016. Thank you to Lucy for allowing us to repost her article and pictures. Yorica! is a little allergen friendly gelateria serving sweet cooling treats in London’s trendy Soho area. Links and address can be found at the end of the article. Yorica! Exclusive Q & A with Director Monika Jagielo and my review of our visit. When word got out a couple of months ago about a new allergy-friendly ice cream, shake and Fro-yo parlour opening in London the allergy community on-line got rather excited, and not least us! Could it be true? Could there really be a safe destination that sold allergy-friendly iced treats? It was really rather unbelievable. Enquiries were promptly made – would it really be suitable and safe for us? And lo and behold, the wonderful reply of yes came back. Unbelievable. And so we duly made the pilgrimage. Now, we have once or twice eaten in the New Forest Ice Cream parlour in Lymington which makes some wonderful sorbets, but the choice is relatively limited and is accompanied by strict instructions over newly opened tubs, no scoop sharing etc etc. This was an entirely different matter – a shop where we could choose ANYTHING! Little S got a bit overexcited browsing the website and decided she’d have a Fro- yo and a shake – we knew she’d probably only get through about half one item as she’s not very used to rich foods, but it’s nice to dream about choice isn’t it? 1) What was your motivation for setting up a free from ice cream parlour? We wanted to set up a sweet treat cafe that those suffering from allergies could walk into and literally go wild! No worrying about what they can and can’t eat, we wanted them to be able to have choice: something that allergy sufferers often don’t have. All Yorica! treats are free from most of the 14 allergens including wheat, gluten, dairy, eggs and nuts – so it’s a free from haven for all! 2) Where do you source your ingredients, in particular all the yummy toppings! We want all of our products to be deliciously healthy, natural and free from, so where we source our ingredients is really important. Everything we use is certified, sustainable and traced – from crop to cone! Our most popular topping is our delicious, chocolate biscuit topper which is sourced from Canada. 3) We loved the taste and texture of both the ice cream and Fro-yo – how did you develop the recipe and do you have any tips for others? Thank you, we’re so pleased you like them . The exact recipe is a bit of a Yorica! HQ secret but I can tell you that to make them free from and delicious we have used quite a few natural substitutes. We only use natural sugars, which stops our ice cream from going rock hard and helps keep them silky smooth. We’ve developed all of our recipes in house and are constantly experimenting to find new flavours – our latest is violet flavoured ice cream, which you can order with tasty edible flowers! We’d love to see a whole raft of Yorica! cafes opening up nationwide, or even across the world. We think we have something really unique and special going on, so would love to share it with more people. Our customers have been so brilliant and can’t get enough of our free from goodness, so we couldn’t be happier. And what about our visit? We had a lovely day out – a trip to the British museum for some Roman history which Little S is currently studying at school, a ‘light’ picnic ( well we had to have plenty of room for some ice cream! ), a meet up with Uncle J and a trip to Yorica. Bliss. And Yorica!? The shop is small, a little more space to sit and eat would be welcome but the design is lovely, fresh and inviting. Unfortunately there was a mechanical problem with the fro-yo machine when we visited so only vanilla and strawberry were on offer. Both girls opted for fro-yo having never eaten it before but were totally bamboozled by having toppings and a choice at that! So, they both panicked and just got one topping each, rather than a pile of goodies on top of their Fro-yos. The fro-yo was light and creamy but not rich in texture and taste and was very moreish. The vanilla had a slight coconut undertone, but that wasn’t apparent with the strawberry. D, Uncle J and I all opted for mixed ice cream with plentiful toppings. The flavours were delicious, particularly the blackcurrarnt and cookies and cream. We were one happy bunch. The ice cream is light enough to gobble down and the only difference with usual dairy ice cream is you don’t feel a bit queasy after such a rich, big bowlful. All in all, I couldn’t recommend Yorica! more highly as a safe treat destination. We’ll definitely return with regularity – fingers crossed they’re such a success that they expand all over the country. Have you been to Yorica! yet? Do let us know what you thought by leaving a note in the comment section below.